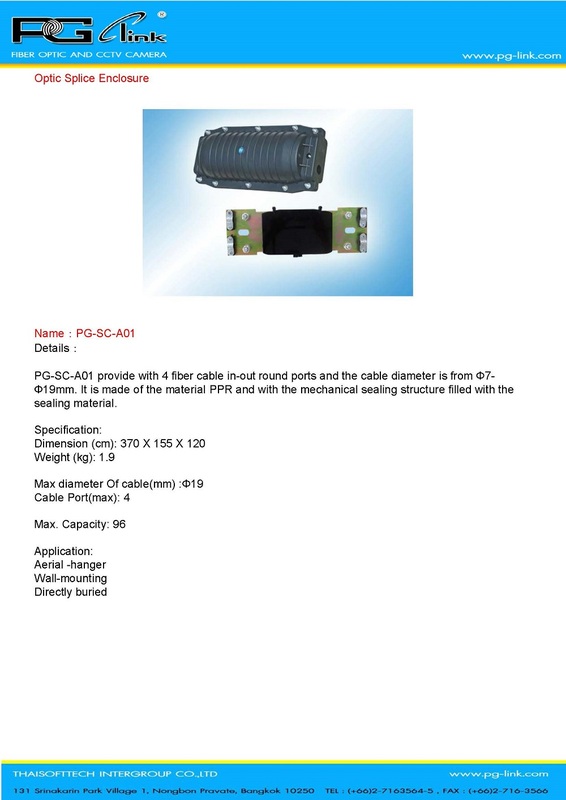 PG-SC-A04 provide with 4 fiber cable in-out round ports and the cable diameter is from Ф7-Ф25mm. 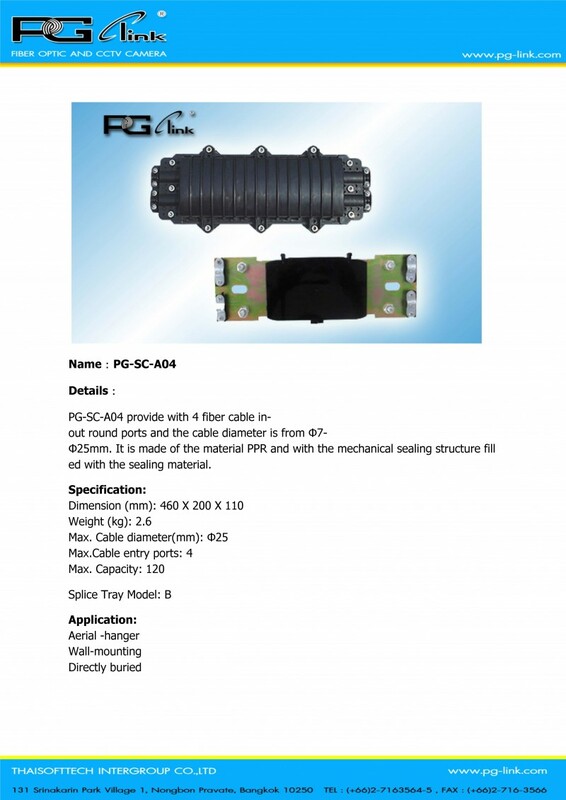 PG-SC-A05 provide with 4 fiber cable in-out round ports and the cable diameter is from Ф7-Ф19mm. 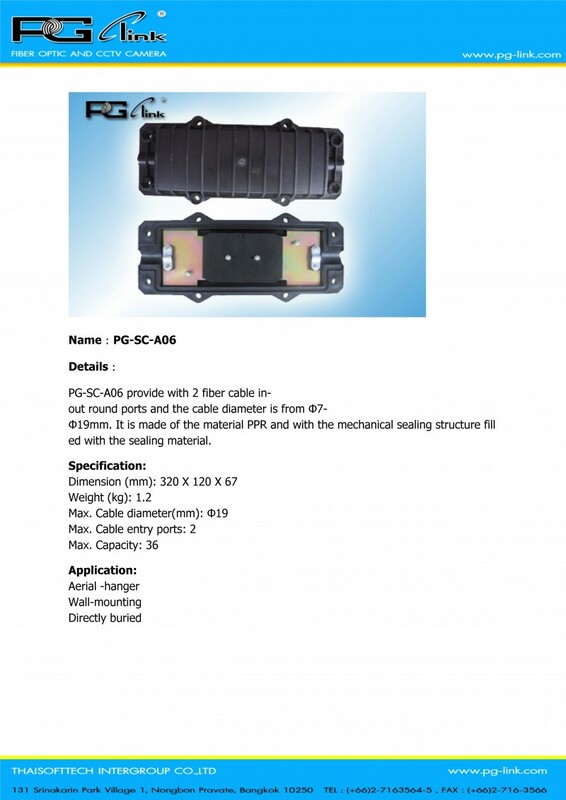 PG-SC-A06 provide with 2 fiber cable in-out round ports and the cable diameter is from Ф7-Ф19mm. 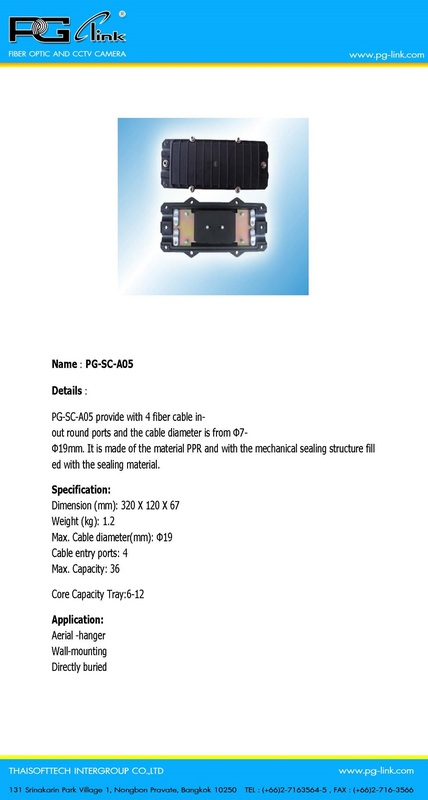 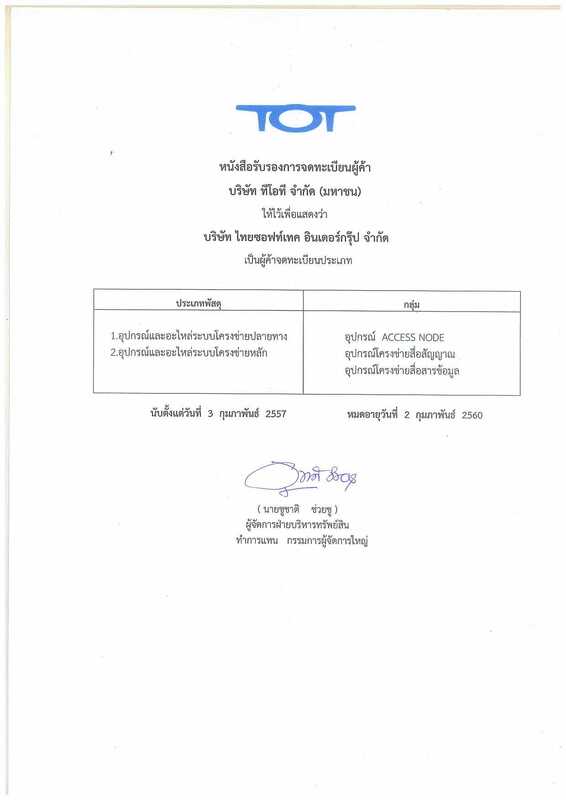 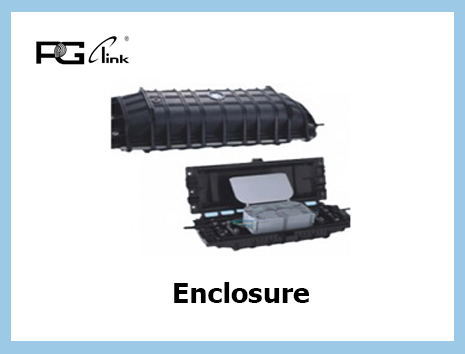 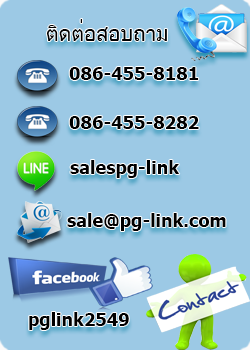 PG-SC-A01 provide with 4 fiber cable in-out round ports and the cable diameter is from Ф7-Ф19mm.